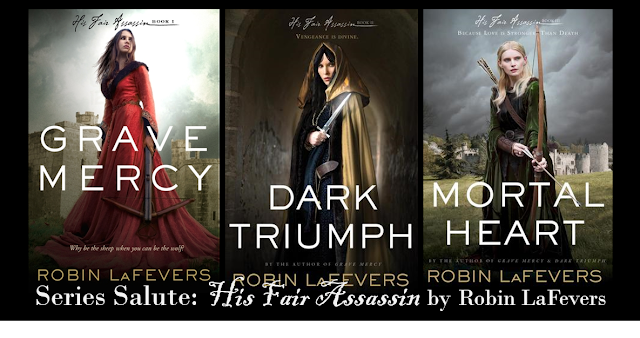 My experience with Robin LaFevers's His Fair Assassin trilogy was rather mixed. So many people were raving about Grave Mercy when it came out, and I thought it was just okay. Then I read Dark Triumph and had a much better idea of what all the fuss was about. I loved Sybella's story, and it left me itching to read the final installment. Mortal Heart, however, was more in line with Grave Mercy (some highs, some lows) than Dark Triumph for me. I'm as surprised as anyone to find that I loved Sybella's tale the most. Overall, I'm not sad at all that I stuck with this trilogy. In the end, I think the pay off was well worth it. The series is set in a fantastical 15th-century Brittany. Each book in the series stars one of three daughters of St. Mortain, the God of Death. Ismae, Sybella, and Annith trained at his convent to become assassins who fulfill Mortain's wishes. Grave Mercy is Ismae's book. Ismae becomes embroiled in the troubles of not-yet-Duchess Anne of Brittany who seeks to keep her country out of the clutches of the French. The series comes out swinging with a great deal of history, court intrigue, and a great cast of supporting characters. Dark Triumph is Sybella's story, and as the title implies, it's a much darker tale than Ismae's. For me, this was part of the book's appeal. The stakes are high in Grave Mercy, but in Dark Triumph everything is ratcheted up a notch. The political conflict is compounded with very serious personal problems. For Sybella, this situation truly is one of life or death, and she may not escape with her sanity intact. Dark Triumph was my favorite in the series. I loved it a lot. Mortal Heart is Annith's book. We get hints of Annith's story in the earlier installments. We know, for example, that the Abbess wants her take over the role of seeress. For Annith, who has been itching to leave the convent and use her acquired skills, this is the last straw. She cannot be trapped at the convent forever. So she leaves under the cover of night. What appealed to me most in this series is the mix of history and fantasy. I love a book that makes me want to do a little bit of research, and I enjoyed doing some extra reading on the side about Anne of Brittany. 15th-century Brittany is already a very interesting setting but and the fantastical elements only heightened my enjoyment of the series. LaFevers handles the mix between fact and fiction very well, and I love the alternate history she creates. I knew from history what the fate of Brittany would be, and I was so interested to see how she would guide us to that point. 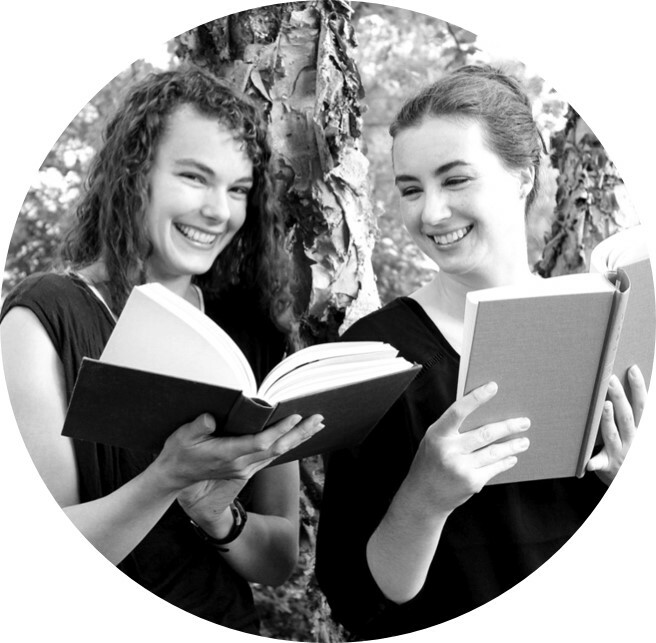 Also, a bunch of strong-willed girls dealing with the social constraints of the 15th-century? Yes, please.